Celebrating 51 Years of Business! The Old Saybrook law firm of Cloutier & Cassella, LLC traces its roots to the firm of O'Connell & Budney, which Richard T. O'Connell and Walter R. Budney established in 1966. Well-regarded experts in the fields of commercial law, criminal and civil litigation, Governor William O'Neil nominated our founding partners subsequently confirmed by the Connecticut legislature, to serve as Connecticut Superior Court judges in the early 1980's. The firm then became Cloutier & Domnarski, LLC until 2001 when Edward S. Domnarski, Jr. was the third lawyer in the firm elevated to the Superior Court bench. 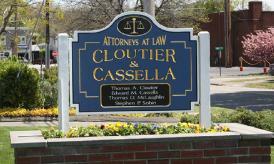 The firm is now known as Cloutier & Cassella, LLC. Today Cloutier & Cassella is a multi-service law firm, serving individual and business interests in New Haven, Middlesex and New London Counties and in towns throughout the Connecticut River Valley. Our firm consists of three lawyers and an experienced, friendly, and competent staff of six paraprofessionals and paralegals who assist us in meeting the needs of our clients. Attorney Cassella is licensed to practice law in both Connecticut and Massachusetts. The cases our attorneys handle range from simple to complex. Our attorneys are recognized for their trial work and represent clients in all state courts and federal courts. With close ties to the communities in which we live and work, our attorneys have a very active history of involvement in not only professional bar organizations, but on civic and community boards and commissions. Well known in the legal community and recognized for our professionalism, skill and integrity, Cloutier & Cassella, LLC is proud to receive frequent recommendations and case referrals from not only our clients, but from other law firms. Thomas A. Cloutier practiced law in Old Saybrook from 1973 until he passed away in 2011. 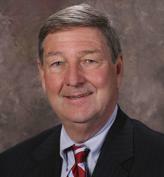 Attorney Cloutier graduated from Providence College in 1968 and he attended Boston University School of Law, graduating in 1973. He successfully tried many court and jury cases to verdict, devoting the majority of his practice to matters involving personal injury, wrongful death, and medical malpractice. Mr. Cloutier’s practice extended to representation of numerous property owners and major developers before municipal land use commissions in lower Middlesex County. Throughout his career, Mr. Cloutier was active in local, state, and national bar activities including the Middlesex County Bar Association, the Connecticut Trial Lawyers Associates and the Connecticut Bar Association. His love of family and his passion for the law, continue to provide a foundation for the law firm today.